If you share your home with a beloved pet, there’s a good chance you’ll encounter a flea or tick at some point during your time together.This can be a real problem not only for homeowners, but also for rental property managers preparing apartments for new leases. Fleas feed on the blood of their hosts, and their bites, while harmless, cause bothersome chronic redness and itching. And intense infestations can transmit tapeworm and typhus. Queensland’s warm, humid climate invites fleas to stay and lay eggs during the dry seasons of summer and early autumn. Immature fleas can lay dormant for up to 7 years before emerging and laying more eggs. Fleas can be a challenge to exterminate, and nearly impossible to treat once they’ve reached the pupal stage. And while they can be treated with conventional flea bombs, it is not recommended as flea bombs can be an extremely dangerous fire hazard—especially in homes with pilot lights. It’s important to treat your pets as soon as possible, as infestation occurs quickly. 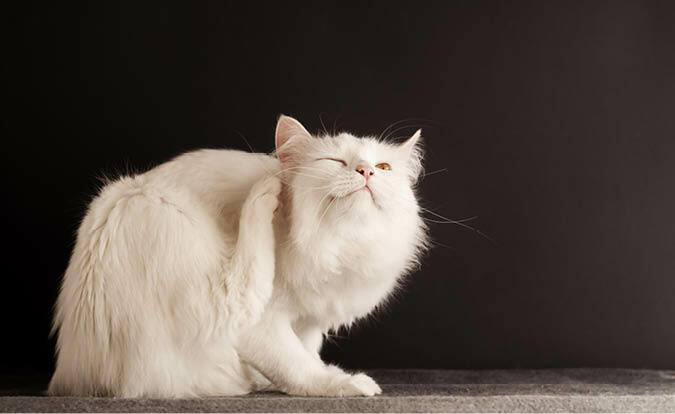 Treat your pet with a topical flea and tick treatment or collar prior to receiving home treatment, as you’ll get optimal results if you can time your pet’s treatment with the treatment provided by a trained professional. A successful treatment must include all spaces inhabited by you and your pet. To prepare for application, remove small items such as toys and clothes from floors throughout the house. Remove pets and cover fish tanks. You’d be surprised to learn that it’s important to remain in infested areas after treatment.Your movements will activate dormant fleas, who die within a few hours of contact with treated surfaces. But be patient—the process can take up to six weeks. And while regular vacuuming of internal areas of the home helps to remove flea eggs, larvae and pupae, it is recommended that you do not vacuum for at least seven days after the treatment. Place vacuumed debris in sealed bag and discard in your trash bin. Australia’s east coast is home to the Australian paralysis tick, which is deadly to pets, causes allergic reactions in adults and in rare cases, paralysis in children. Bandicoots are its natural host in North Queensland. Ticks live in grass and thick vegetation and attach themselves to passing hosts such as cats, dogs and humans. Like fleas, ticks feed on blood. Unlike fleas, ticks remain attached to their hosts through their mouth, causing irritation and swelling. For those with known allergies to ticks, these bites can be life threatening and require medical attention. The only way to successfully eradicate a tick is to remove it from the host animal and treat the infested area with an effective insecticide. Eliminate moisture from areas known to inhabit ticks, such as gardens and other leafy areas. Keep bandicoots, which are notorious hosts, from your garden. Treat pets with a solution designed to protect them against ticks. Your vet can advise on the best one for your pet. Inspect your pets on a regular basis. Remove ticks with forceps, if found.